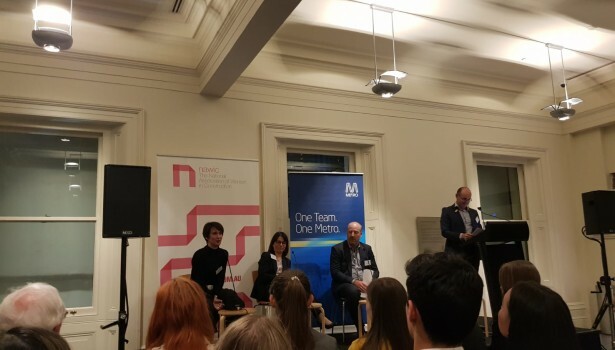 ConnellGriffin Melbourne attended the NAWIC Building a Better Melbourne event on 9 April 2019 at the Immigration Museum. Vicki Ward, Parliamentary Secretary for Public Transport Infrastructure and Peter Gleeson, Executive Director Projects Metro Trains Melbourne, provided a brief overview of the transformations happening in the transport and infrastructure space in Victoria, with a particular focus on achieving a more diverse and inclusive workplace. The panellists including Linda Cantan, Package Director Tunnels and Stations from Rail Projects Victoria; Kevin Devlin, CEO of Level Crossing Removal; and Tara McDonald, Stakeholder and Community Engagement Manager from Downer, continued the conversation providing an informative discussion on the challenges women face in the construction industry. ConnellGriffin is grateful to NAWIC and Metro Trains Melbourne for hosting the event and we look forward to attending future events.